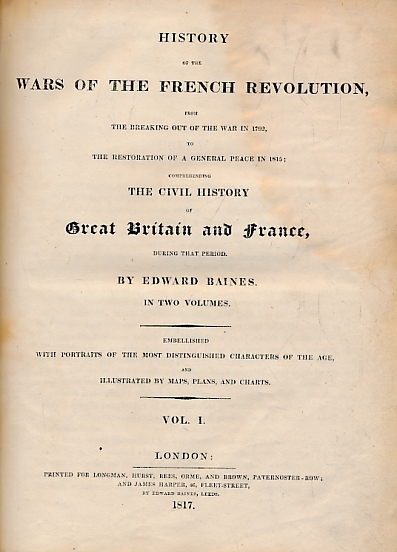 Barter Books : Baines, Edward : History of the Wars of the French Revolution, from the Breaking out of the War in 1792, to the Restoration of a General Peace in 1815; Comprehending the Civil History of Great Britain and France, During that Period. Two volumes bound as one. 280 x 230 mm (11 x 9 inches) - 539pp; 595pp. Worn condition. Cover scuffed with wear to leather. Prelims stained. 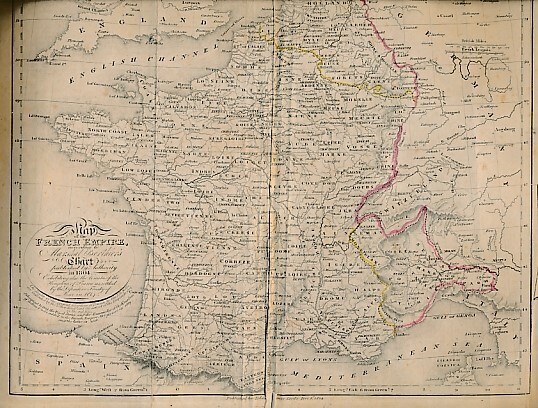 Fold out map p536 has close tears and bottom right corner missing. Page nos 468-470 repeated but text correct. Some foxing, but content in overall good condition. 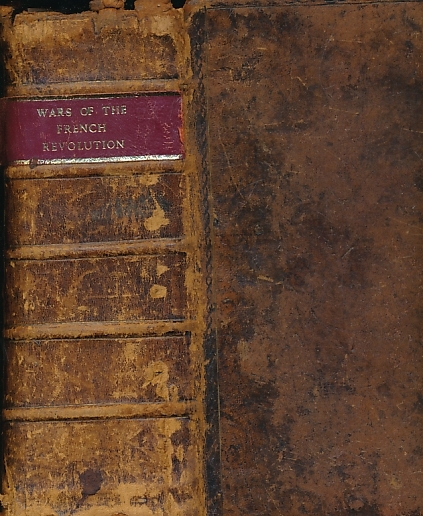 Volume 1: 14 of 16 plates present ('Seat of War in Switerland' never bound in) ('Frontiers of France' chart p45 missing and replaced with facsimile); Volume 2: 15 of 16 plates present (missing Belgic Campaign p447 replaced with facsimile).